Skype announced today that you can now use the Verizon Skype app on your Andriod phone without disabling WI-FI. AndroidCentral jumped on the news assuming that you could now make calls using WI-FI. They later updated this, stating that you could now leave WI-FI enabled while using Skype, but not actually place calls via WI-FI. It was obvious to me that there is no way they would allow WI-FI calling. Remember, Skype doesn’t just have an app out on the Andriod market like it is on Apple’s app store. The app is only available to Andriod phones (and BlackBerry) that are on the Verizon network. This is all part of a very shady deal between Skype and Verizon, which I highlighted back in March. It’s basically an exclusivity deal that would tempt Skype users to pick Verizon over a different carrier. Even better for Verizon, your Skype calls to domestic phones use up your regular Verizon voice plan minutes. Skype to Skype calls are free and international calls are billed by Skype, but I still beleive they connect through Verizon’s regular voice network. I’m really not sure what’s in it for Skype. @justin_horn @gruber even worse, the skype app on android doesn’t even do real VoIP – it places calls. Doesn’t use data. This explains why Skype-to-phone calls come out of your Verizon minutes, but then what’s the point of using Skype at all? Your Skype address book? So if Skype were to allow WI-FI calling with this update, they would obviously be in breach of their contract with Verizon. Compare this to un-open iOS Skype app which allows you to make calls on 3G and WI-FI. These calls are placed just like they would be from a laptop with a 3G card or WI-FI connection. All usage is billed to your Skype account alone. You can even make WI-FI calls from the iPod touch. John Gruber on the Verizon iPhone: Yes. If there are going to be millions of CDMA iPhones in January, we’re going to start hearing about signs of production. And, it seems, we are. But I do know that engineering-wise, the wheels are turning on N92, the CDMA variant of the iPhone 4. It’s certainly not in production yet, and hasn’t reached DVT status (device verification test — like Gray Powell’s infamous stolen unit), but it is, a few little birdies claim, at EVT (engineering verification test). That’s one step below DVT, which is one step below production. So it’s right about where you’d think it would be if it were scheduled to go on sale in January. The CDMA iPhone is no longer a cold storage, keep-it-alive-just-in-case-we-need-it project. Gruber takes the CDMA chip orders, mixes that in with a few of his little birdies, and he has himself a solid argument. I’ve been on the side saying it won’t happen, at least not until LTE. I argued Apple would stick to making one phone per year, to keep cost down, in my post Economy of Scale. I thought, why would they go to all the trouble to make a special phone just to support Verizon? Maybe, as Gruber suggest, they’re not just making it for Verizon, but Sprint and lots of other CDMA markets throughout the world. Also, not sure if it’s technically feasible, but what about a single iPhone that supports CDMA and GSM networks. If either of these is true, this argument holds no water. What about other issues, like a CDMA iPhone owner wondering why they can’t talk on the phone and look up movie times like they just saw in that commercial? 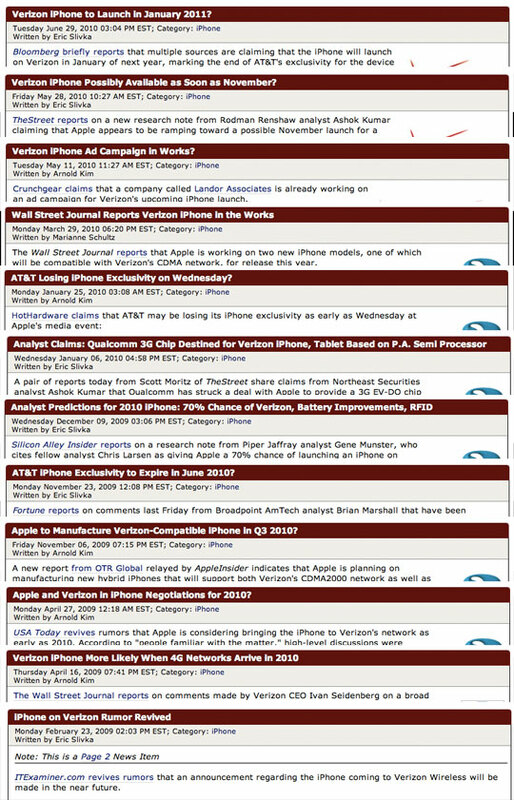 With this one iPhone per year model so entrenched in everyone’s mind, it will be hard for people to understand why the Verizon iPhone works differently than the AT&T iPhone. I’m not sure of other noticeable GSM/CDMA differences, so this could be a non-issue. I offer a third argument, Verizon and Apple themselves. I ignored this before because I was so caught up with technical side of it, but I think this is the strongest reason for no Verizon iPhone. We know how stubborn Apple has been with the iPhone control already, letting AT&T know who is running the show. The issue here is Verizon is just as stubborn and powerful. Great example of this is Verizon, not the handset manufactures, owns the Droid name. Gruber joked today on The Talk Show: Episode 3, that a Verizon iPhone deal could fall apart because Apple says no to the Verizon logo on the back of the iPhone…it’s funny because it could be true. Also, don’t forget that Verizon has publicly bashed the iPhone with their Droid Does campaign and have very strong ties to Google (net neutrality anyone?). Remember this is the “the summer of Droid”. The key bit: “At the critical juncture […], when they should have gone for market share, they went for profits.” I think this encapsulates Jobs’s philosophy since taking over Apple in 1997. Take the high end of the market first, establish a brand and presence, then steadily start to expand. If they’re at that juncture with the iPhone now, expansion means CDMA. And in the U.S., it means Verizon. I agree that Apple wants to expand the iPhone to more markets and now is a great time. The iPhone has a well established name and filled out most of the must have features (still waiting on a better notification system). The timing, CDMA chip orders, and especially Gruber’s little birdies have now convinced me that the N92 CDMA compatible iPhone is just around the corner. To be clear, I would love nothing more than a Verizon iPhone to help spread the load to more towers, but ask me whether I think we’re going to see it happen and I still have to say no. I’d like to thank Dr. Macenstein for putting this great picture collage together. Seeing them all together like this, make me realize why I’m so annoyed by the rumors all the time. Yes, eventually Verizon will get one, but not yet. I explain why I think this here and here. 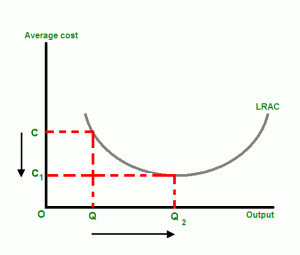 Economies of scale, in microeconomics, are the cost advantages that a business obtains due to expansion. 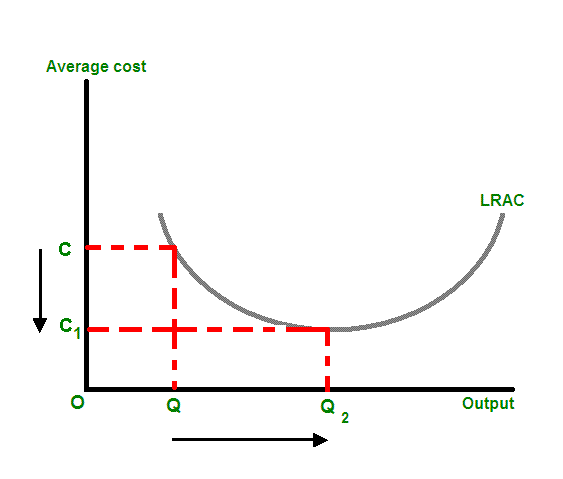 They are factors that cause a producer’s average cost per unit to fall as scale is increased. These three words sum up why we will not see a Verizon iPhone until 4G LTE is a reality. Before we get into economies of scale, just think about how many hours of R&D go into the development of the iPhone every year. To make a custom iPhone for one carrier, in one country, seems like a wasted expense. Don’t get me wrong, I’m sure they have looked at or even done some limited R&D on what it would take to get a CDMA iPhone out the door, but it’s not a main focus. Take the R&D expense out of the equation and the Verizon iPhone still doesn’t make sense. As Apple’s manufacturing partners ramp up production of the iPhone, the cost per unit is going to drop and Apple’s profit will go up.Why would they want to have a production line just for Verizon? Verizon is a huge company, but compared to AT&T and the rest of the world, they aren’t. They would have to make far fewer CDMA iPhones raising the average cost and cutting into their profits. Economies of scale may be utilized by any size firm expanding its scale of operation. The common ones are purchasing (bulk buying of materials through long-term contracts), managerial (increasing the specialization of managers), financial (obtaining lower-interest charges when borrowing from banks and having access to a greater range of financial instruments), and marketing (spreading the cost of advertising over a greater range of output in media markets). I highlighted purchasing and marketing as these are the main factors that would influence Apple. They’ve put strains on world supplies of flash chips due to the huge production of their latest iDevices, so we know they can get some bulk buying discounts. To build the Verizon iPhone they would need to purchase CDMA chips on a much smaller scale increasing their cost. The marketing might overlap a bit, but they would need to tweak ads to make sure they didn’t advertise a feature, like talk and surf, as Verizon’s CDMA network can’t support this. Go beyond the cost of the manufacturing and think about supporting the phone. This is one reason why Apple only makes one iPhone per year, compared to Motorola’s and Nokia’s hundreds. What about that special Chinese iPhone? In this case all Apple had to do was disable WI-FI. I’m not an Apple engineer, but common sense tells me disabling a feature is monumentally easier than swapping out the main radio chip that makes up the phone part of iPhone. I’m betting the WI-FI chips are still in there and disabled via the hardware. As for support, it’s the same phone with one featured disabled, so one less thing to break. What about AT&T’s generous early upgrade policy this year? You’ll remember last year they did almost the same thing, but only extened the upgrade elgible window through September. This year they only exteneded it an additional 3 months. The other difference this year is AT&T raised the ETF from $175 to $350 on all their smartphones, matching Verizon’s somewhat recent ETF rate hike. I know some make a case that these two events mean they are trying to get more people hooked on AT&T with a bigger penalty for leaving. It’s very logical argument, but I just think they raised the ETF to match Verizon and are offering the early upgrade to iPhone owners for the same reasons as last year. We will see an iPhone on Verizon when Verizon is on the same wireless network technology as the rest of the world. This will happen when everyone goes to the 4G LTE networks. When the 4G network will be deployed on a large scale is another question. I’ve heard rumors of 2011, but something tells me we are still a 2-3 years away.